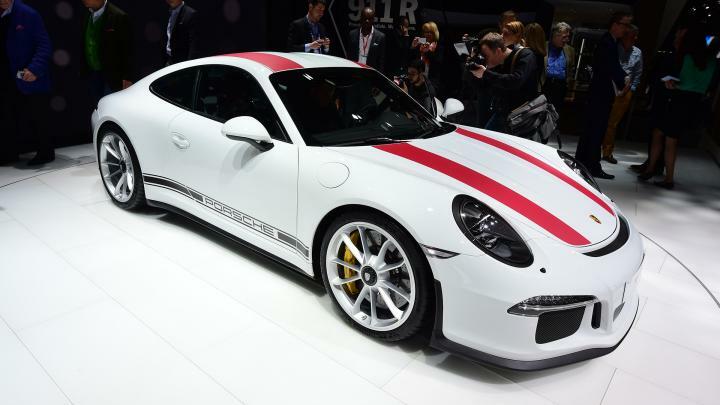 Porsche has finally unveiled its 493 bhp Porsche 911R at the 2016 Geneva motor show. The new 911R is said to be the lighter version of the GT3 RS model that comes without aerodynamic racer design. 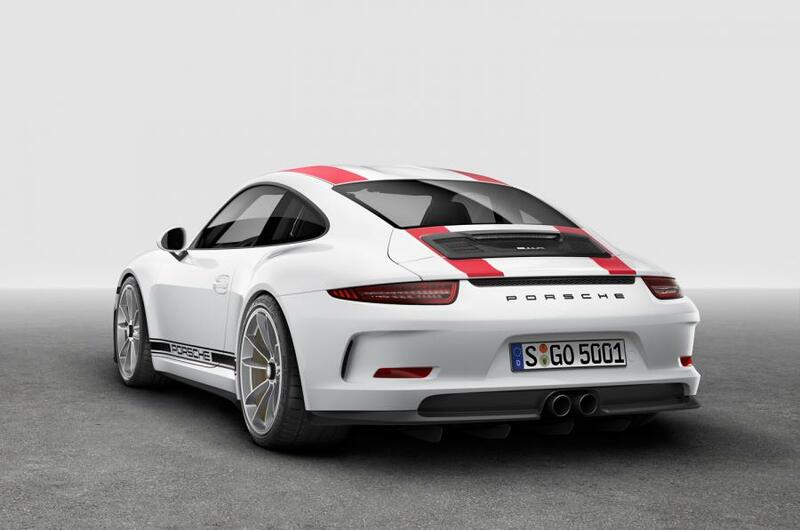 According to Porsche, the new 991R is inspired from the historic racing origin since 1967. Porsche 911R comes powered by the familiar 4.0-litre flat-six, which is also powering the GT3 RS, pumps out a peak power output of 493 bhp and peak torque of 339lb ft. The engine is further mated to a six-speed manual gearbox. The new 911R is capable of sprinting from 0-60mph in just 3.7sec. It also offers a top speed of 201 mph. The car is built using light matter including carbon fiber and magnesium. The bonnet and front arches are made from carbon fibre, while the roof is made up of magnesium. It makes the 911R weight 1370 kg. The excessive weight has been removed by installing titanium exhaust system and removing the rear bench seat. Apart from the practical weight and design, the 911R comes gets extra add-ons like rear-wheel steering, centre-locking forged aluminium wheels, and ceramic composite brakes. Externally, the car features retractable rear spoiler along with a bespoke rear diffuser. 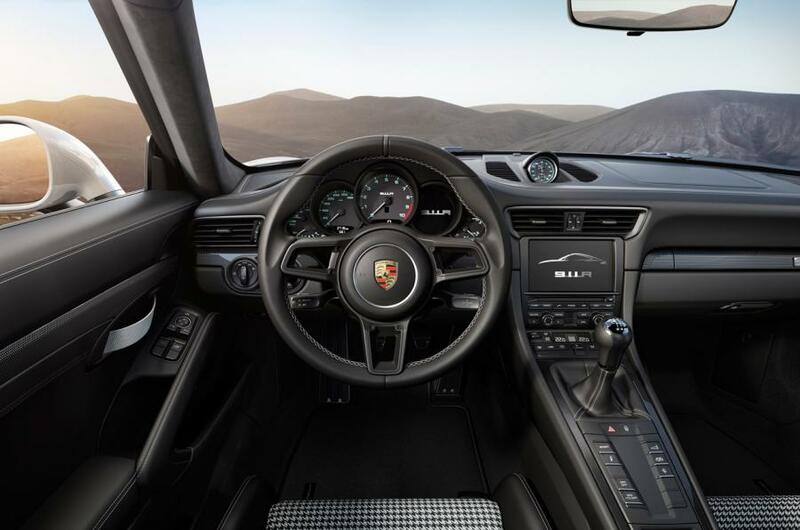 The interior also offers an R-specific steering wheel carried by a short-shift gear lever.